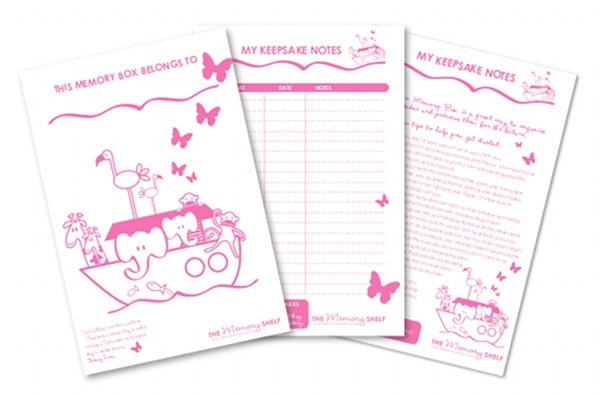 Babyology Exclusive – free Memory Box Download Kits for everyone! Here’s a brand new, free download to make your Memory Box even more memorable! We featured the Memory Box from The Memory Shelf in May and fresh on the scene is a download containing a coversheet so you know which box belongs to whom, a ‘My Keepsake Notes’ sheet to record each item and what they mean to you and ten useful Memory Box ideas so the item reaches its maximum use potential. The downloads are available in four designs to match each Memory Box. Simply subscribe to The Memory Shelf newsletter and you will receive access to your free download! We all love something for nothing!